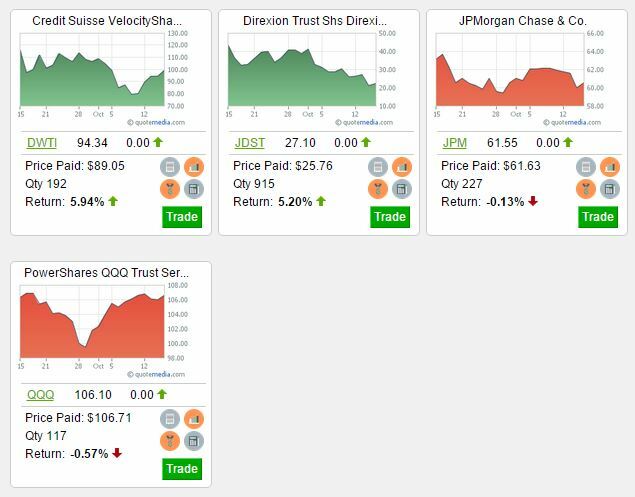 For this day-trading contest, my big winners were the triple-leveraged ETFs (Click Here for a list of leveraged ETFs!) 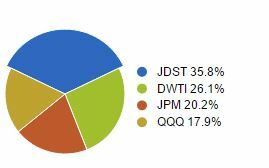 DWTI and JDST. DWTI is a triple-leveraged Bear Oil ETF, so when oil goes down by 1%, this ETF goes up by 3%. JDST works the same, but for gold. With the oil markets so volatile, I knew DWTI, or its partner, UWTI, would have some big movement, so I watched the pre-market news and figured prices had a higher chance of going down than up. For JDST, I always think gold is severely over-valued and love betting against it. I love it even more when that bet pays off! These leveraged ETFs aren’t very good for long term investments, but if you want to day trade, they can be very interesting choices.